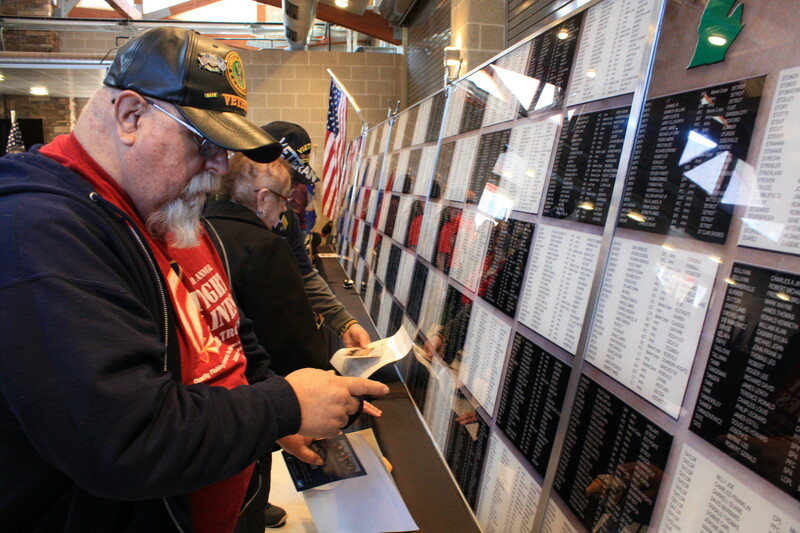 SAGINAW – In honor of those who served in the Vietnam War, the VA Medical Center hosted the Vietnam Veterans Moving Wall ceremony Friday, March 29. The traveling memorial brought home the 2,654 veterans from Michigan who gave their lives during the war. The youngest name on the wall was 15-year-old Private First Class Dan Bullock. These names come from the even larger black wall where the names of 58,280 veterans reside. Aerian went on to say how organizations like the VFW were organized because the veterans were shunned, and they could only talk to other vets about it all for so much time. “I was ashamed to wear my uniform for three, maybe four years after coming home. We weren’t expecting a ticket ceremony but we weren’t expecting protesting either. People went because they believed in their country, a country that let them down. This ‘welcome home’ is late,” says veteran Gary Duehring. Though the event gave a chance to honor the veterans who survived and those who gave their lives, it can be easy to forget about how they were treated on their homecoming. Along with the moving wall, there was a “missing man table” memoriam, left with empty chairs to honor those who remain missing in action. Alongside the table there was a display of pictures and descriptions of Medal of Honor recipients from the Vietnam War. The event also presented a chance for veterans to get a Vietnam veteran lapel pin, as well as have dog tags made for them. “These people served for us; now it’s time to serve them,” says event volunteer Bryan Chrisler.